Earlier this week, I decided to skip my thrifting and instead check the inventories of several large and small retail establishments. 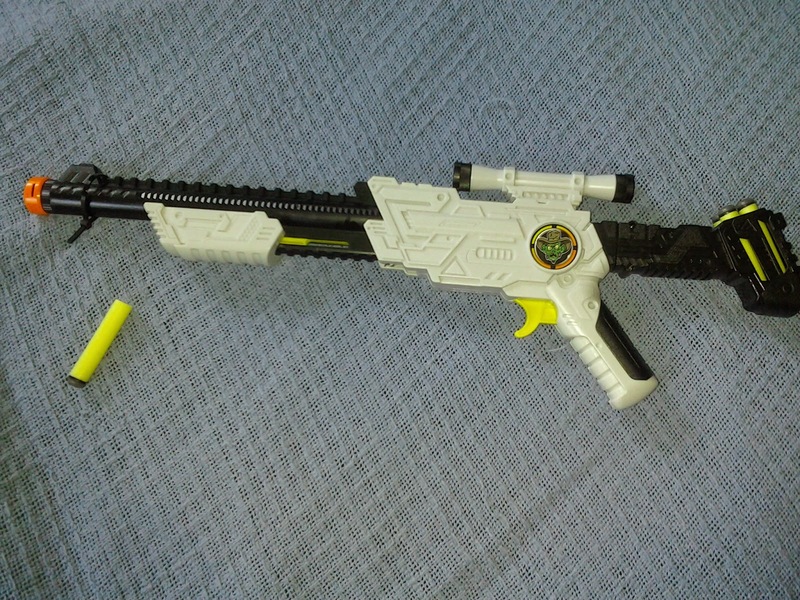 When I stopped at Roses Discount Store (one of the stores under the Variety Wholesalers umbrella), I found a blaster I had never seen anywhere in the US, even though it had been out for quite a while. 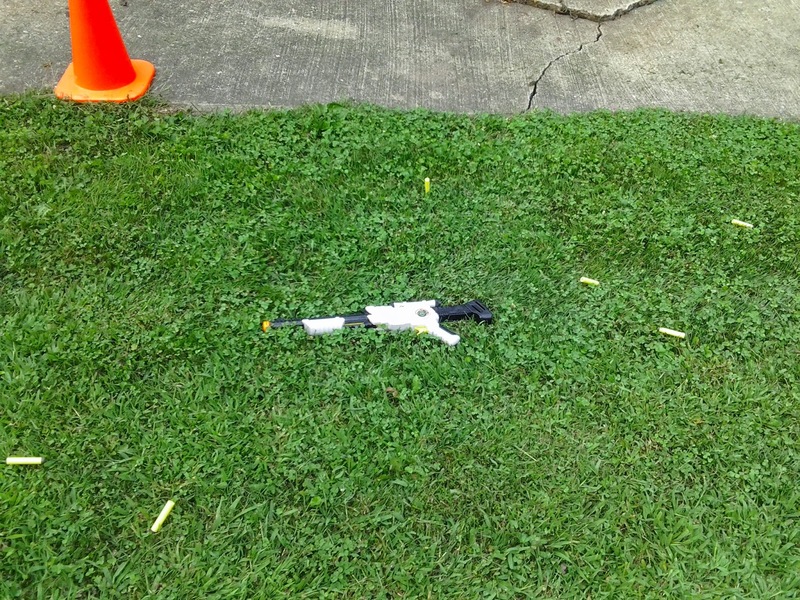 (Feel free to correct me if you've seen this blaster elsewhere). 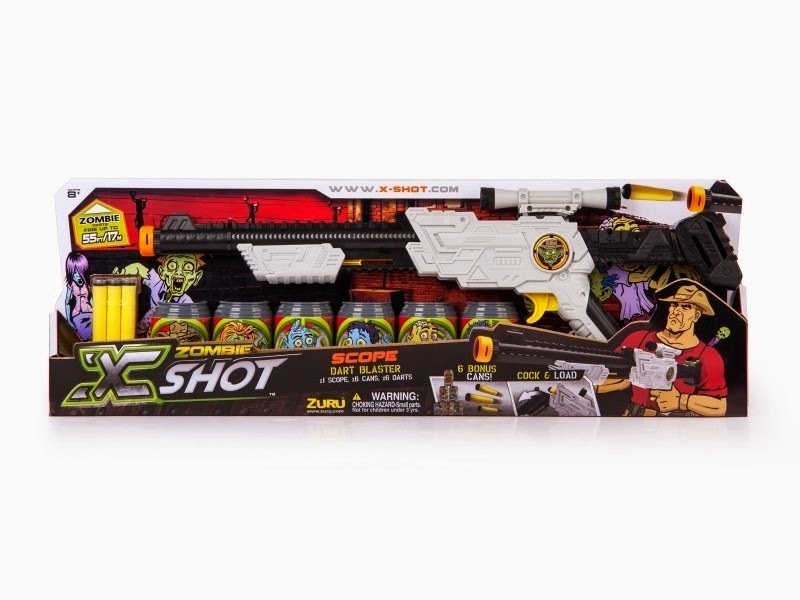 For just $10, I got the X-Shot Zombie Scope, plus six darts and six target cans. The box claims ranges of up to 55 ft. Turns out that the box doesn't lie, and this blaster has the potential for even more! The Zombie Scope is a simple blaster. 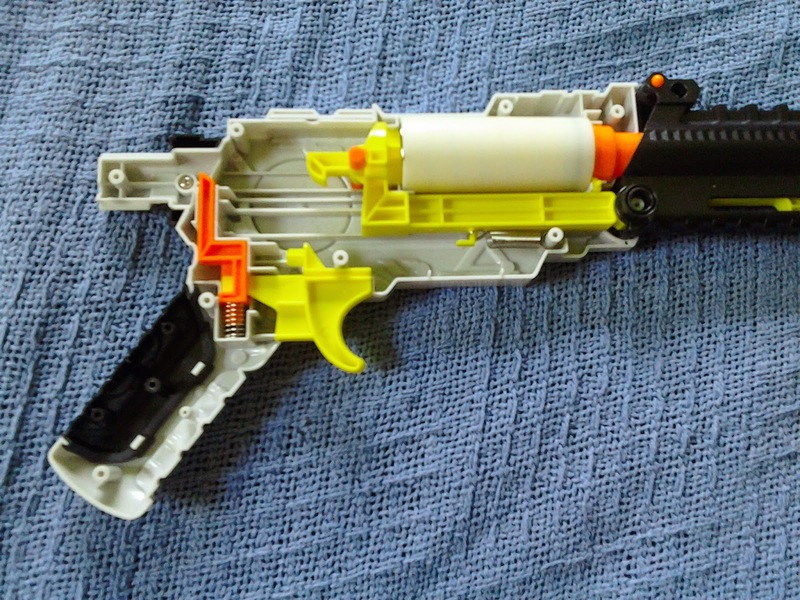 Like the Vigilante, it has barrel break action to let you load the chamber. After that, you simply pump to prime, then pull the trigger. The priming grip is small, but adequate. The Zombie Scope comes with both a miniature faux scope and a small removable stock, which holds four darts. 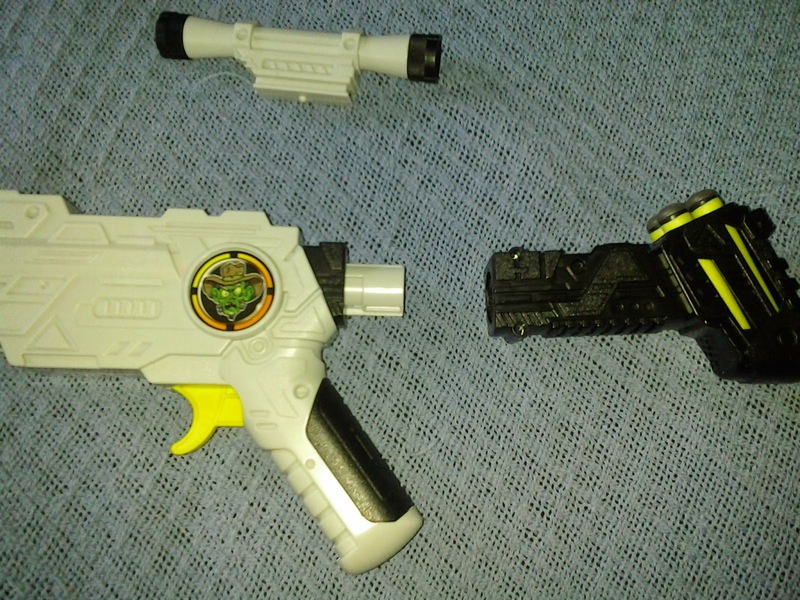 As with most blasters, these features are sized for younger users. However, the trigger and grip are reasonably large and comfortable to use. Internally, the Zombie Scope is a direct plunger, with a bit over 4 cm of draw and ~2.5 cm ID. The priming sled moves the plunger back, and the orange catch holds it. 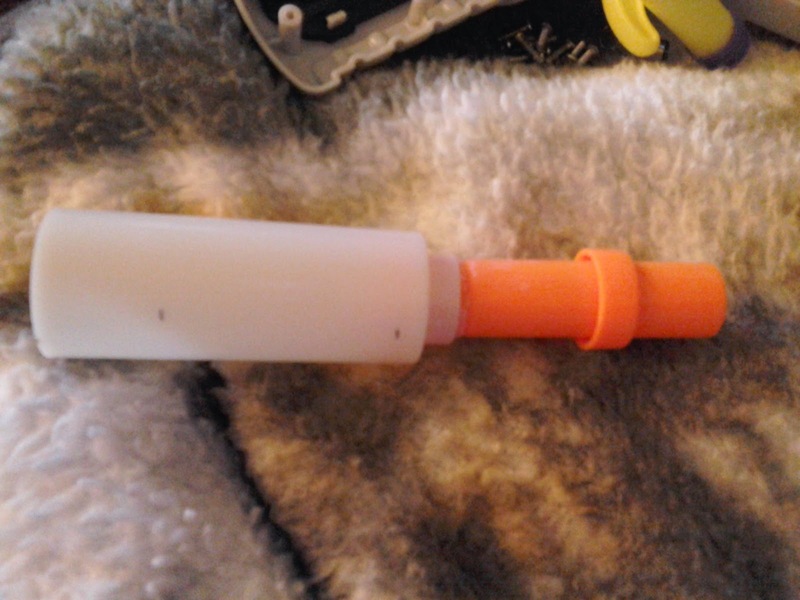 Interestingly, the plunger is similar to that of the tiny X-Shot Micro - the middle of the plunger is recessed, allowing the dart barrel to be contained within the front of the plunger tube. 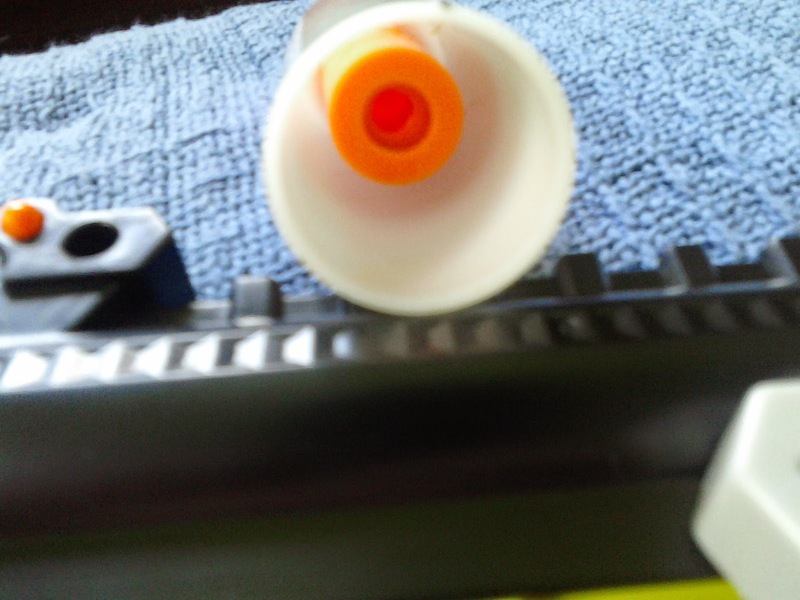 The back of the barrel also houses the air restrictor. 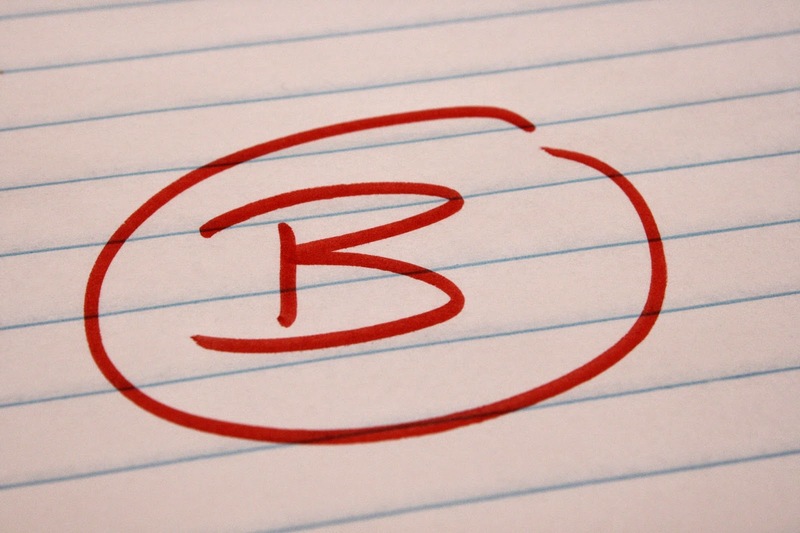 Now for testing! Note that I used both the included Excel darts and Nerf Elite streamlines, which performed similarly in terms of distance. The Excel darts, however, flew much straighter. 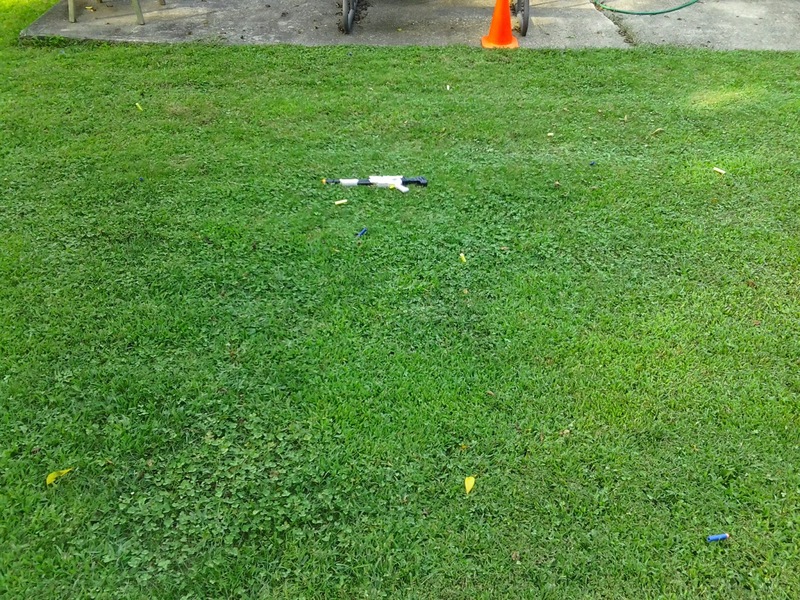 I also measured out 80' of space, with cones marking the 20', 40', 50', 60', and 80' marks. First, firing parallel to the ground. All darts passed 30', with some approaching the 40' cone as shown. Firing at an angle, darts were landing around the 60' cone, with the Elites showing a much wider spread than the Excels. That certainly beats the 55' claims from the box! Finally, a simple modification can do a lot. Remove the plunger tube and barrel, then pull apart. Take a drill bit, and go through the back of the barrel. 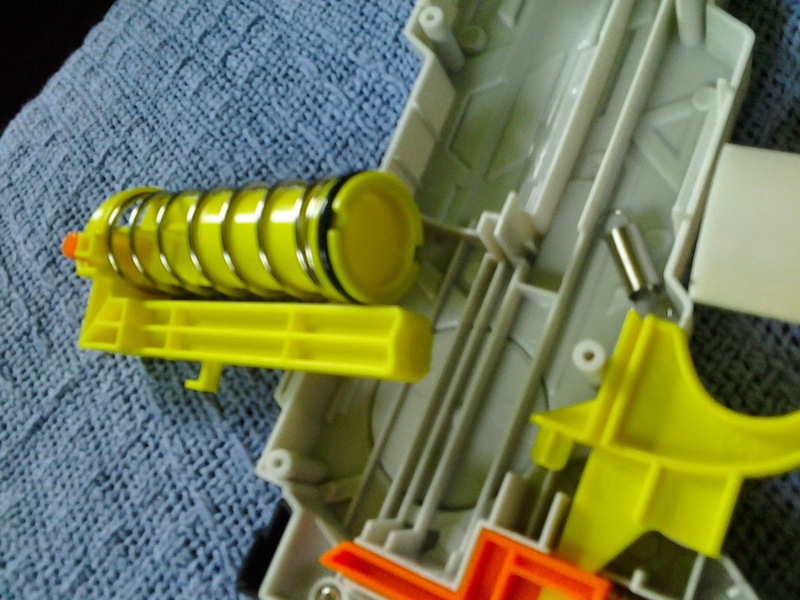 Remove the barrel post - while this will leave the air restrictor intact, the new passage will simply bypass it. With the new air passage, I was seeing flat ranges of up to 50', and angled ranges exceeding 80'. For $10, the X-Shot Zombie Scope performs well. It doesn't overstate its abilities, is decently comfortable, and has just the right price point. Outside of its stock characteristics, there is plenty of modding potential. It may not be quite up to the current performance of Nerf-brand blasters, but it's close enough to be an acceptable substitute. If you happen to come across this blaster in your travels, go ahead and grab one! 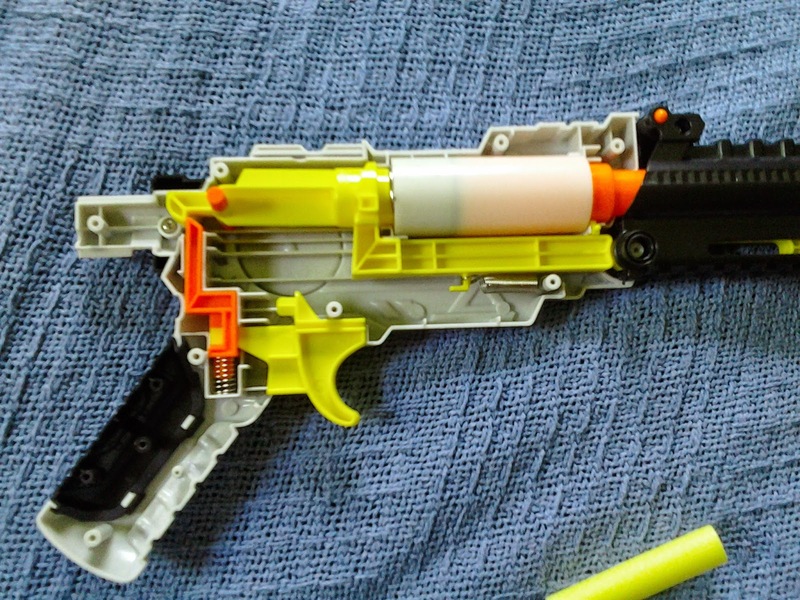 I think it technically should be a reverse plunger blaster because of the way it forms around the barrel like many reverse plunger nerf pistols. It just has an out side shell to that assembly. Where did u buy the gun? I cant seem to find it that cheap anywhere. It can shoot in two different ways, either a solitary shot or fast discharge shots. 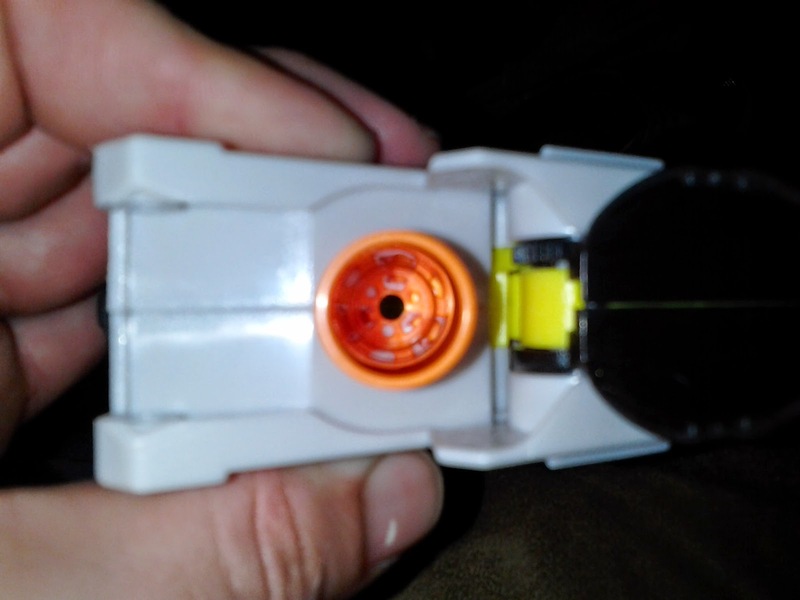 Setting it to fast discharge shots will definitely give you an incredible edge when you are amidst your Nerf fight.